There is one thing that differentiates top eCommerce stores from the rest – they’re trusted by their customers. In the eCommerce industry, nothing sells more than trust. In fact, it is the only thing that customers count on before making a purchase decision. With global cyber security attacks mounting at an alarming rate, the last thing customers want is to lose their hard-earned money and personal credentials to a scrupulous eCommerce store. Hence, the need for HTTPS encryption and SSL certificates. 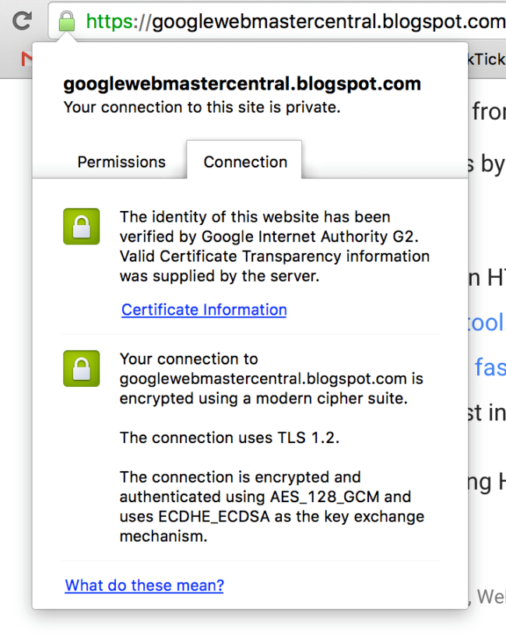 What is a SSL certificate? What does it do? A SSL certificate is basically a file that contains cryptographic key about an organization. Once configured into a website, the SSL certificate turns on a green padlock symbol and a green address bar implying that all the files transferred between the server and user browser are encrypted. The encryption ensures that in case the website or the data transmission is hacked in-between, the hacker gets only incomplete or gibberish words that make no sense. The actual data will be assembled back together to form the complete message in the other end where it will be decrypted. This form of web security using SSL certificates is referred to as HTTPS encryption. Websites encrypted with a SSL certificate have a HTTPS prefix to their URLs. HTTPs encryption delivers a host of benefits to website owners, primarily to eCommerce store owners. Depending on the need of your business, you can pick green padlock secure connection with Extended Validation (EV) SSL, Organization Validation (OV) SSL, Domain Validation (DV) SSL, WildCard SSL Certificate and Multi-domain SSL Certificate. SSL certificates immunize your eCommerce website from cyber attacks like eavesdropping, phishing, DDoS, etc. They act as the first line of defense that prevents infiltration into your server system. 17% of online shopping customers abandon their carts fearing security concerns in credit card payments. SSL Encryption helps eliminate such fear in the minds of customers by assuring that the website is safe to deal with. The green address bar and the padlock symbol cannot be replicated. Their presence in an eCommerce store establishes a sense of security in the minds of customers. Phishing attacks feature clone websites that dupe customers into submitting personal information including credit card and related information. SSL certificates can help prevent such copycats by establishing the legit ownership of the website. This is possible with EV SSL Certificates which are issued post verification of the website domain ownership and business details. Google has long since included HTTPS as a vital search rank signal. Web sites with HTTPS in their address bar will be rated as secure and will be given a higher search engine ranking compared to those websites without encryption. Using SSL certificates from one of the protocols that Payment Card Industry lays down for compliance. As PCI compliance is regarded as a sign of reliance and credibility for any website, eCommerce stores with SSL certificate have larger chances of being trusted by customers. Some SSL certificates give along with the purchase trust seals or badges that can be displayed on payment pages. Trust seals or badges further help in assuring customers that the page is encrypted and is under tight protection from cyber security attacks. SSL Certificates and eCommerce are a match made in heaven. They help online shoppers feel safe and secure while shopping for their favorite products. For store owners, it doubles up a source to increase their SEO ranking and also to adhere to PCI standards. Moreover, it creates an overall safe atmosphere where customer and store records are kept safe and confidential.